You probably recognize the title of this blog as being the title of an Amy Winehouse song. 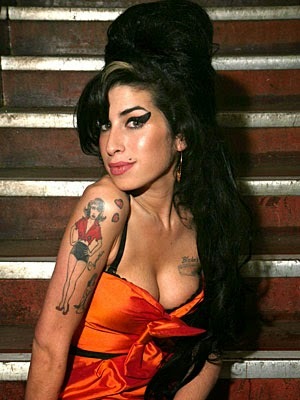 Amy was a troubled, drug addicted, alcohol dependent singer with a beautiful voice who never did work the rehab successfully and eventually died by sabotaging her tortured mind and body, even in rehab, with even more drugs and alcohol. She just didn’t want to get positive measurements that might have reinforced the process and motivated her to battle onward. So sad to see someone so self destructive. Now As I go thru this rehabilitation process to build up my legs, a result of a hip replacement surgery, I realize that measurement of the “progress” of the process is more important than the process itself. And it is the measurement and documentation of the process that motivates me to be better tomorrow. And the day after that. And the day after that. How many reps did you do today? What number of leg lifts (using 5 lb. weights) did you achieve vs. today’s goal, weekly goal, and program goal? How fast did you walk? How far did you go? How much further can you go tomorrow? But when we are injured or trying to recover or trying to bring a business back from death’s door, more often than not, we become obsessed with our progress. We just want to measure everything to see if we are getting better. Yet I have met many proprietors who only measure their total revenue, their bowling revenue, and their food and beverage revenue. Not revenue per lane, not food and beverage revenue per game or shoe rental revenue per game, just revenue and certainly not lineage measurements. (“I can’t take lineage to the bank,” they say). And then there are other proprietors who measure almost everything. From shoe rental income per lane to price per game, to yield per lane to number of beers per lane to, well…you name it and they measure it. The real question is, “what are you doing with your measurement data?Are you using it to set goals, strategies and tactics? Your strategy would then be to offer more packaged food and beverage items with bowling on an hourly basis. Tactically, you could introduce a program like “Wing It N Fling It”, where you offer two hours of bowling, shoe rental and a 20 piece chicken wing platter for $54.95 for up to 5 people. If those people bowled 10 games, your revenue in this deal would be $5.49 per game. Add in two pitchers of beer at $8 each and your revenue per game goes to $7.10 per game. So the real question is not so much what you are measuring, but rather are you measuring the right stuff that will give you actionable programs to meet your goals? Think of it as your rehab work before the season starts!! Call us now for a FREE COMPUTER DIAGONISTIC using DISCOUNT CODE (otr214425@gmail.com) on +1-914-613-3786 or chat with us on http://www.onlinetechrepairs.com.